Good late night peeps! It's 2am in the morning and I'm still Awake ( Nocturnal ) lol. Anyway, I'm gonna give my review about NIVEA MEN INVISIBLE BLACK AND WHITE DEO. At first, I'm really hesitant to try a deo. Wow really? I never used deo (I'm using tawas instead since it helps in whitening our UA and controls sweating). Anyway, out of curiousity, since Nivea have a good line of products, I decided to use this deo. It claims to give you long lasting effect like 48 hours no sweat with no stain in white or black clothes which I dont really like when it stains so its a plus for me. As you can see on the picture, I emptied the bottle (1 month of use). I honestly forgot lol but it didn't cost me more than a hundred for sure. I wont take this review long, I like to give short but direct verdict. √ It does what it claims, as in no sweating the whole day. Take note; I used it on summer time. √ One small bottle can last for a month or two. X It feels a lil sticky for me. I've switched back to tawas since I hate that sticky feeling using deo. 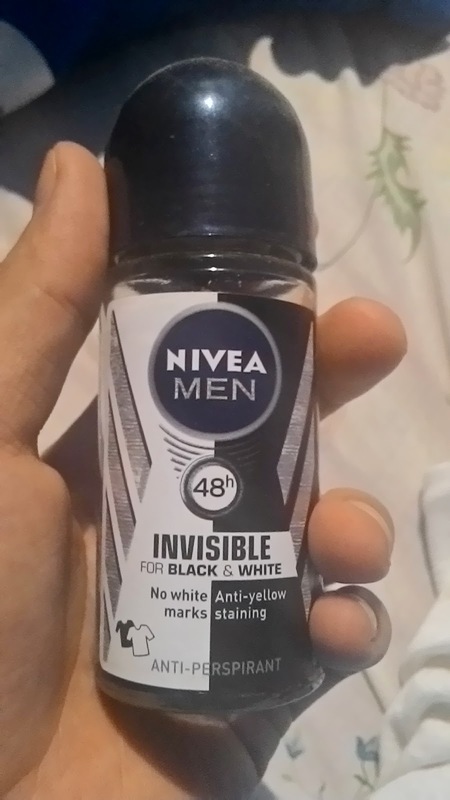 Anyway, for you guys looking for a good deo to use, this NIVEA MEN INVISIBLE BLACK AND WHITE is awesome! !